Foreign Minister Avigdor Liberman advocated “cutting of the heads” of Arabs who were not loyal to Israel. Liberman once again advocated his plan to spin off Arab areas of Israel and integrate them into a Palestinian state, in exchange for areas of Judea and Samaria that would be annexed to Israel. “There is no reason for Umm el-Fahm to be a part of Israel,” Liberman said, referring to the large Arab city in Wadi Ara. “Those who raise the black flag on 'Nakba Day' in mourning over the establishment of Israel do not belong here, as far as I am concerned, and I am quite willing to donate them to PA chief Mahmoud Abbas. 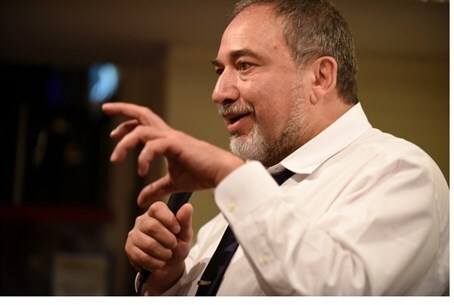 It would be my pleasure,” said Liberman.